Offered with a choice of 5 designs with layouts to accommodate multiple width ranges. 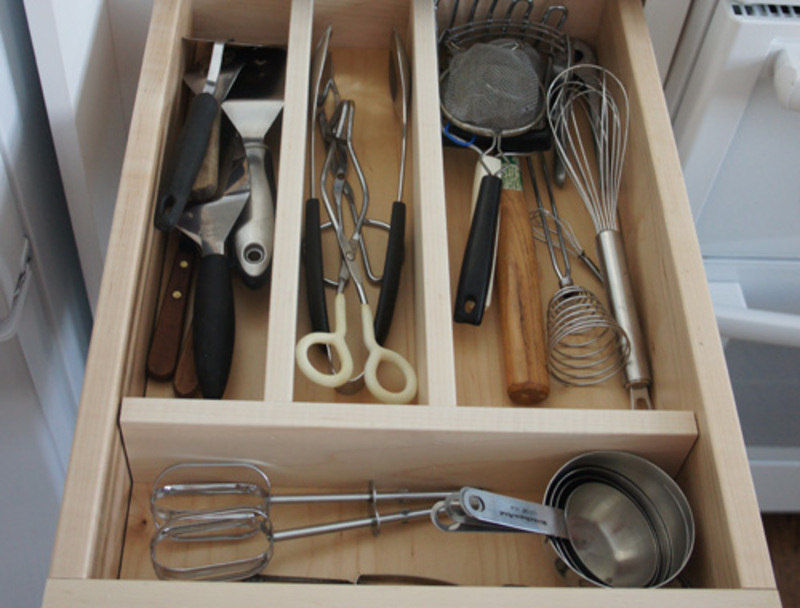 Choose from 3 wood options for flatware and utensil storage. Giving you pricing and ascetics with a built to fit product to match your project and budget. Log in to see wholesale pricing in our quoting form. Our Classic flatware series offers 3 designs with multiple layouts for width ranges. 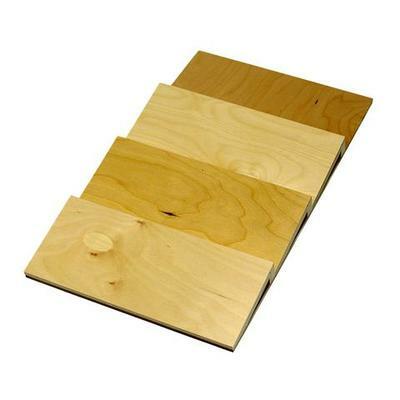 Choose from 2 hardwood choices. Custom Sized to fit your drawer. 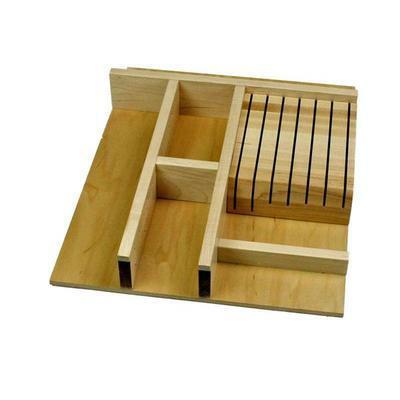 For drawer interior widths 8 3/4" to 36" and depths up to 21". They can be purchased with a drawer box, or for a drawer box you already have. For our full line of Classic Flatware Organizers just click on View button below. Our Craftsman flatware series offers 3 designs with multiple layouts for width ranges. Choose from 3 wood choices. Custom Sized to fit your drawer. 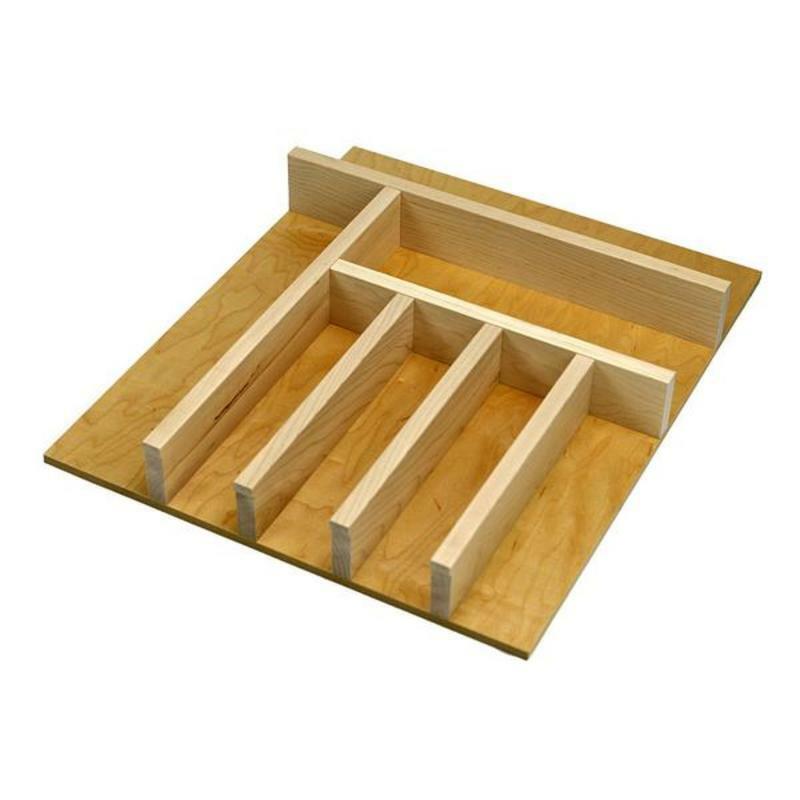 For drawer interior widths 9 1/8" to 35 1/2" and depths up to 21". They can be purchased with a drawer box, or for a drawer box you already have. To view our full line of Craftsman flatware inserts, click on View Button below. Our Craftsman series utensil organizer Inserts offer 2 designs with multiple layouts for width ranges. Choose from 3 wood choices. Custom Sized to fit your drawer. 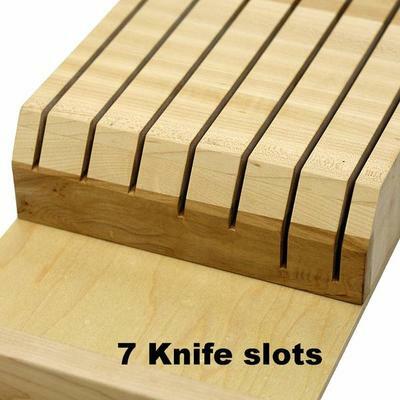 For drawer interior widths 9 1/8" to 35 1/2" and depths up to 21". They can be purchased with a drawer box, or for a drawer box you already have. To view our full line of Craftsman utensil inserts, click on View Button below. 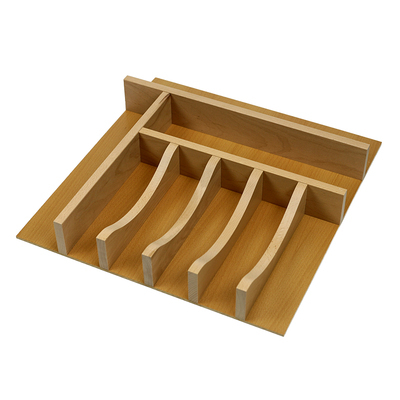 We offer an array of partial width and full width Spice tray organizing inserts. To view our full line of spice inserts, click on View Button below. Our Craftsman series utensil organizer Inserts with cutlery knife organizers are available in 3 wood choices. The cutlery knife is Maple hardwood cutlery knife block storage block with 7 slots (2-2", 2-1 1/4", 3-1" deep slots) See picture. Includes handle rest 1 1/4" high. 7" width. Custom Sized to fit your drawer. 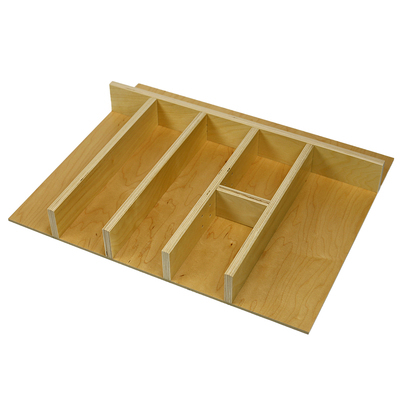 For drawer interior widths 9 1/8" to 35 1/2" and depths up to 21". They can be purchased with a drawer box, or for a drawer box you already have. To view our full line of Craftsman utensil inserts, click on View Button below.